A turret stopped functioning early on in the "Run to the South" (the breech pinion gear sheared blocking the left gun while the right gun misfired. 16:11 Motlke fired a torpedo which ran under Princess Royaé. 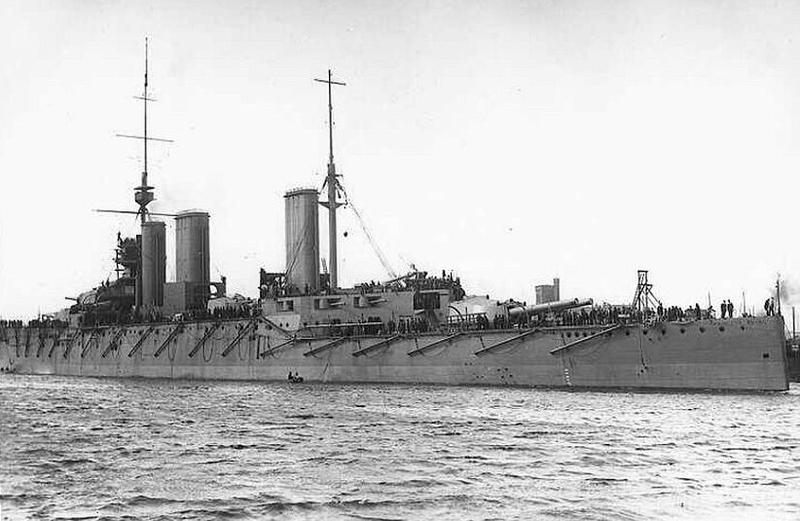 18:22 Princess Royal hit by shelling from the SMS Markgraf: one put X turret out of action, the other penetrated the ship&apos;s belt armour. 4 Parsons team turbine engines heating 18 Babcock and Wilcox boilers driving 4 shafts. Rated at 70,000 shp. Ran at 28.5 kts in sea trials. Turrets hydraulically powered. Most secondary 4" turrets in superstructure casemates.